The Virtual Staff Ride/Virtual Leadership Seminar is an experiential learning and training exercise that seeks to teach the influence of terrain on tactical decision-making. The VSR/VLS exploits the use of historical documents such as maps, photographs, memoirs, and videos that are integrated with current tools that cadets use often, such as Google Earth. The VSR/VLS is not a lecture; instructors employ the Socratic method by posing problems to cadets to enable them to think for themselves rather than to merely dictate a “school solution.” Cadets are engaged in dialogues about tactical decision-making by the instructor; the instructor guides the cadets what to think about, not what to think. Paul Barron is the Director of the Library and Archives at the George C. Marshall Foundation in Lexington, Virginia. After retiring from the Marine Corps, he earned a MS in library and information science in 1996 from the University of Texas at Austin. His interest is integration of information technology to enhance learning. Major James Cook, Virginia Military Institute. 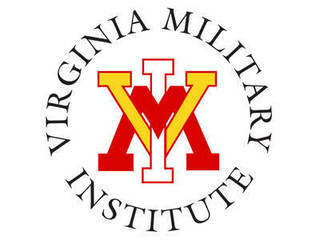 Jim Cook is the Senior Military Science Instructor for the Army ROTC Program at VMI. He is a retired Army Aviator who was deployed to combat in Afghanistan. He serves as the Executive Director to Rockbridge Family Services, a private, non-profit organization that helps raise awareness and support for the local population with Autism Spectrum Disorders. Mr. Cook also serves on the Board of Directors for the Rockbridge Area Community Services Board to help prevent and treat mental illness, developmental disabilities, and substance abuse, and to enhance the quality of life of individuals who experience these conditions in the Cities of Buena Vista and Lexington and the Counties of Rockbridge and Bath, Virginia by providing individualized treatments, establishing and expanding programs and support systems, and promoting integration into the community.